Sundaes, floats, cones, shakes... ice cream brings together people of all ages for a fun and frosty treat. And in Mississippi, we take our ice cream seriously! 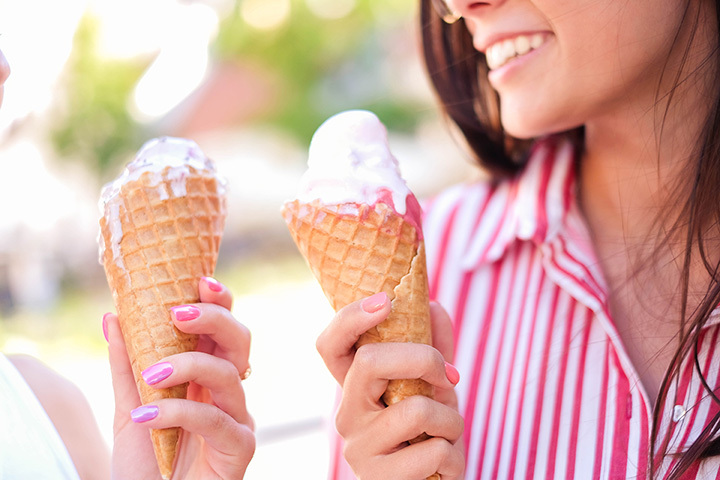 From old-fashioned ice cream parlors to the most innovative flavors, these are the nine best places to find ice cream in the Magnolia State! Brent's opened as Brent's Drugs in 1946, and it still has the original soda fountain and bar stools in their original locations. Today, Brent's serves ice cream and burgers with the same spirit that has brought the community together for years. Try a classic float or shake, or go for one of their creative flavors! Area 51 Ice Cream in Hernando specializes in artisan ice cream in traditional and gourmet flavors. They use only fresh fruit and ingredients for all of their small-batch, handmade ice creams. Whether you're in the mood for vanilla, Saigon cinnamon snickerdoodle, or strawberry buttermilk, you've got to try Area 51. The Ice Cream Corner in North Gulfport is a classic ice cream parlor serving Blue Bell ice cream in a cozy setting. Locals feel a sense of community when they come here, and the owners take the time to make every visitor feel welcome. Watch their Facebook page to see when they get in new flavors! Waveland Pharmacy and Old Fashioned Soda Fountain has only been around since 2002, but you'll feel like you've known the staff forever when you come in. Whether you're picking up a prescription or just in the mood for an ice cream cone, Waveland Pharmacy carries on the long tradition of drug stores and soda fountains. Turnage Drug Store is another example of the classic American drug store with a soda fountain. Browse their gift shop with lovely selections of purses, jewelry, home decor, and more. Then have a seat at the counter and enjoy an old-fashioned malt or shake with the kids. The Velvet Cream has appeared on our lists before, but it's their ice cream that really makes them famous. The Dip has over 240 ice cream combinations in almost any flavor you can think of. Try a concrete with your favorite cereal mixed in, or a peanut-butter-and-banana shake in honor of local native Elvis. Borroum's Drug Store is a true piece of American history. It's the state's oldest operating drug store and soda fountain, and it's been open since 1865. Today it has a museum display and is still a modern pharmacy, and the original soda fountain is still in operation, so stop in and get an ice cream soda in this historical treasure. The Rebel Dip in Gulfport is an old-fashioned drive-in that's been serving burgers and ice cream for over 50 years. Sit in your car or one of the patio tables as you enjoy old-fashioned burgers, fries, shakes, and more. Their dipped cones are a classic, or get a float made with local favorite Barq's Root Beer. If regular ice cream isn't going to do the trick, try Bops Frozen Custard. This creamy treat is sweet and indulgent, and it's available in a number of forms, from sundaes to concretes and more. Choose one of their specialties, like the Snappy Turtle, or create your own from their extensive list of premium toppings.